Students at St. Christopher School in Northeast Philadelphia got a life-long lesson in healthy eating habits on Apple Crunch Day, a national awareness campaign on Tuesday, Oct. 24. 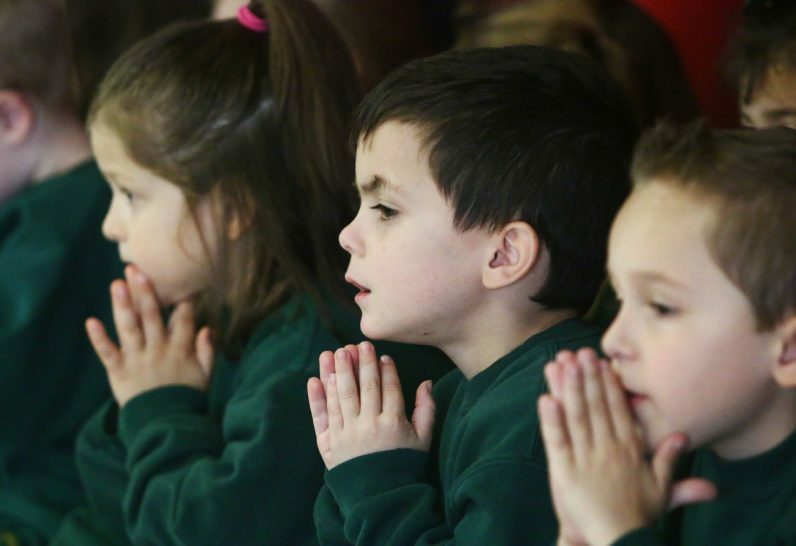 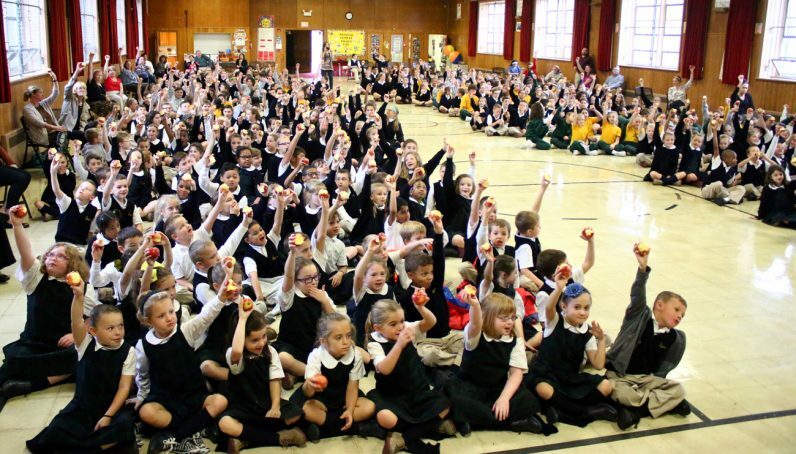 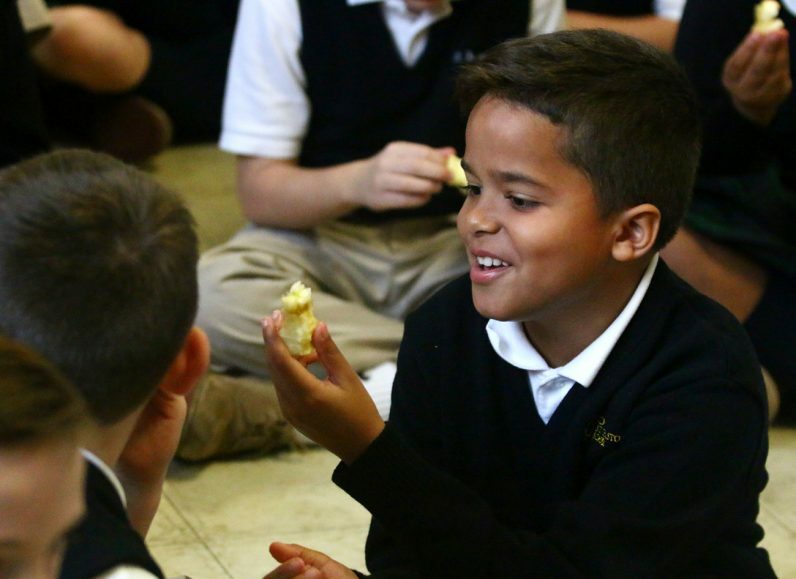 The school assembly, run by archdiocesan Nutritional Development Services, encouraged more than 460 kids and their families to eat apples as a healthy snack. 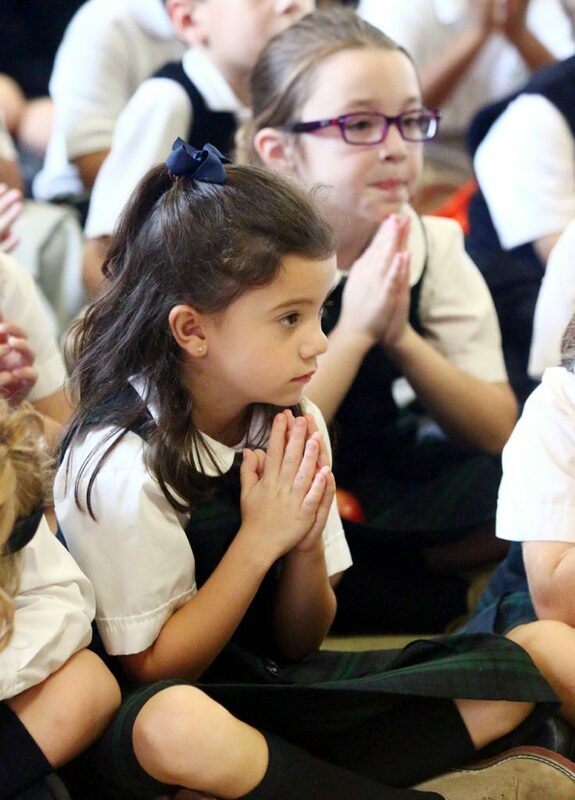 St. Christoper students from pre-K to eighth grade fill the school gym. 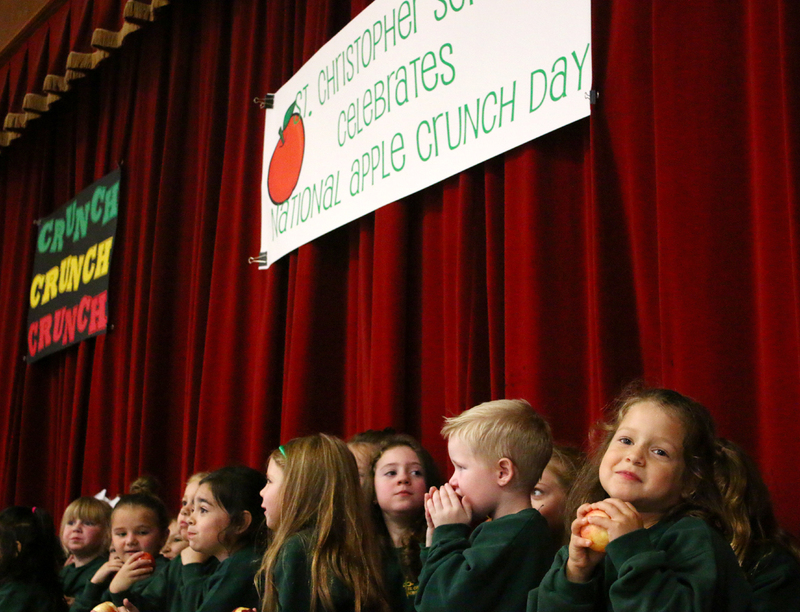 Brooke Mullen of Nutritional Development Services thanks the students of St. Christopher School for their participation. 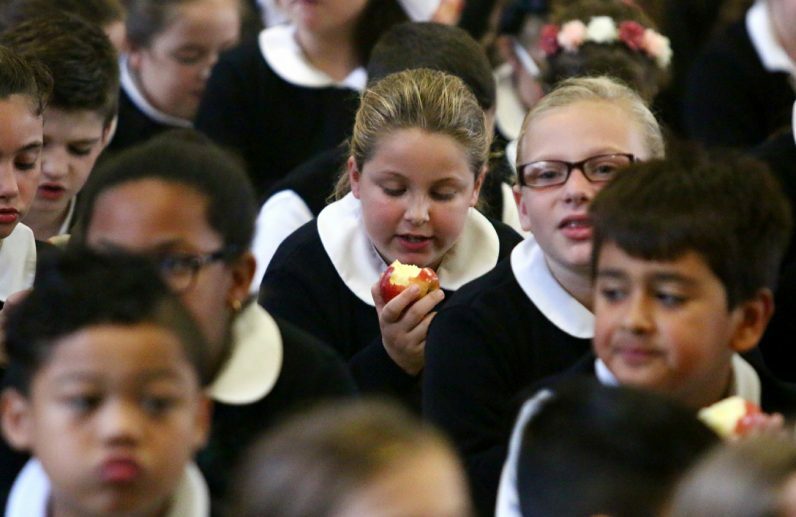 Students pray before eating their apples. 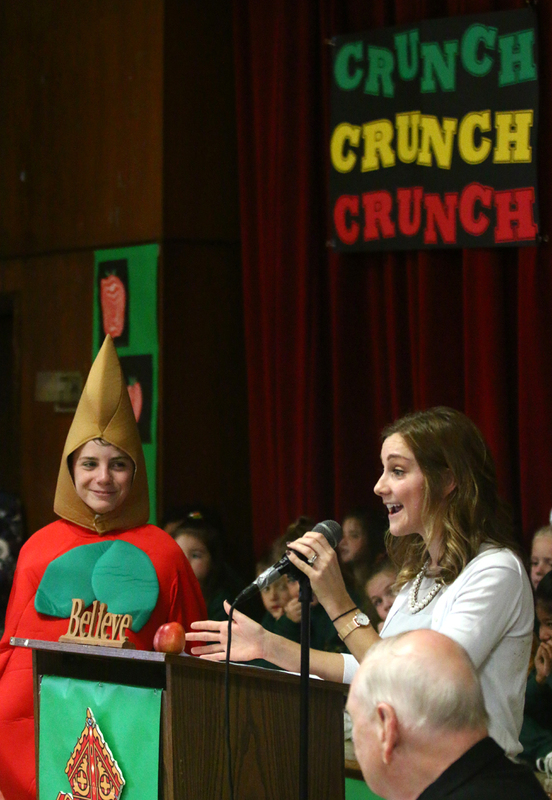 Enjoying the day are (from left) Brooke Mullen of NDS; Msgr. 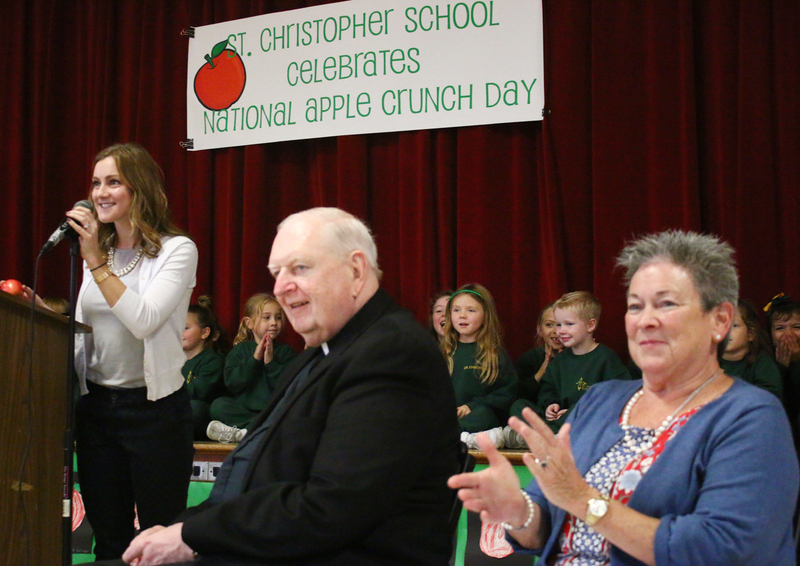 Joseph Garvin, pastor of St. Christopher Parish and Mary Tremper, school principal. 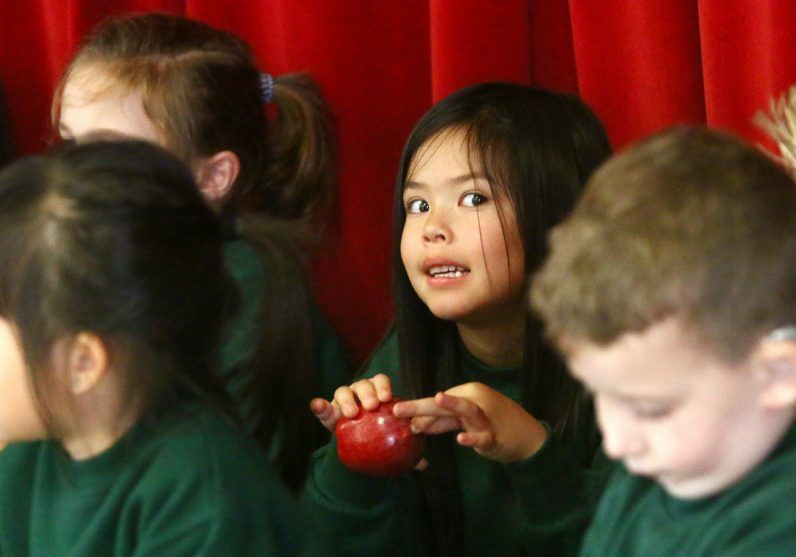 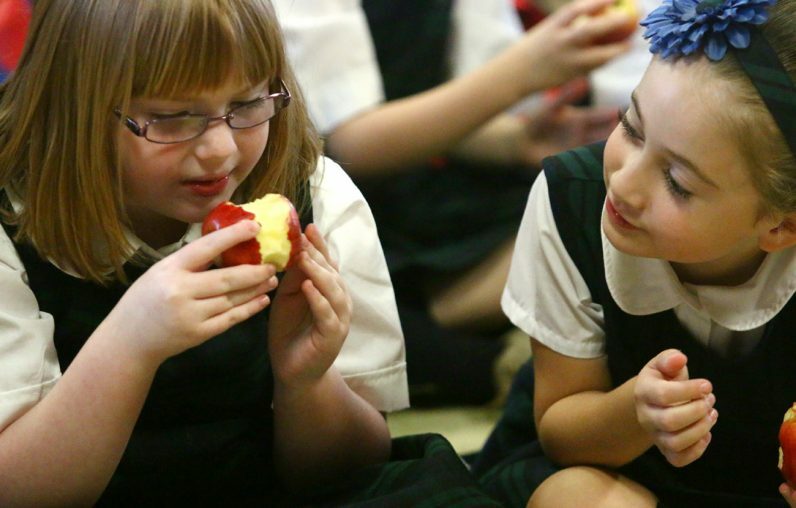 Kindergartner Sofia Eshcach, right, gets ready to eat her apple. 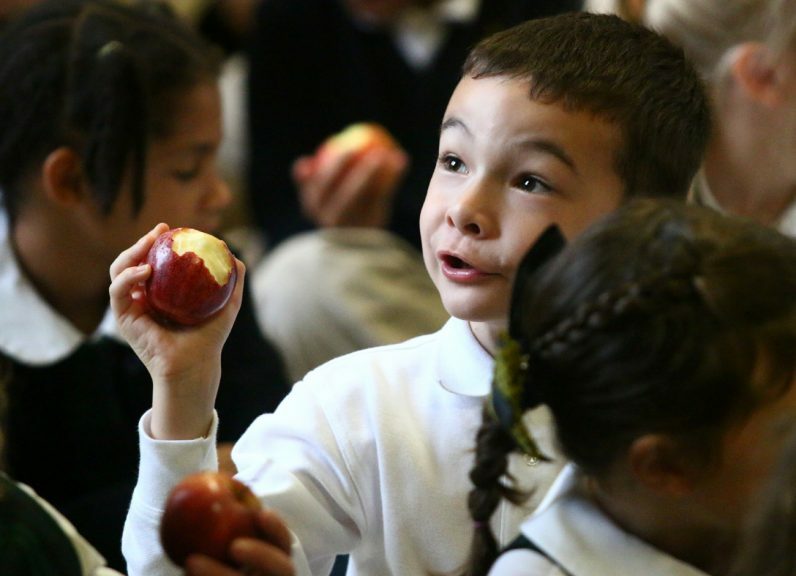 Eric Martinez, second grade, eats his apple to the core. 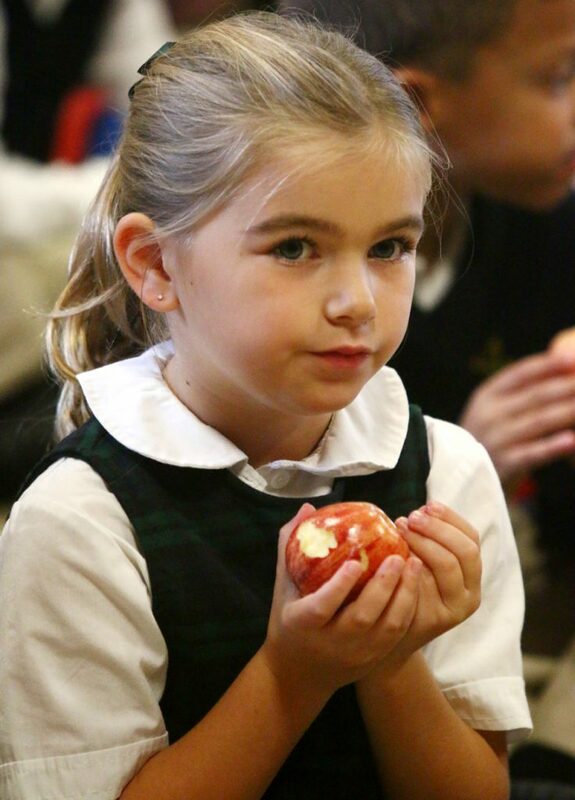 First graders Sophie McFarlan and Ella Manigrassi enjoy the special school assembly.